▶ SoldThis listing was sold on Dec 19, 2017 for the price shown here. FANTASTIC PRICE! 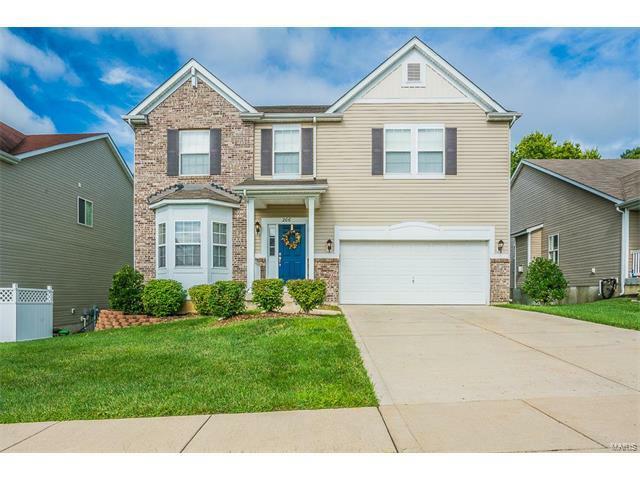 Spacious two-story with 4 bedrooms and a bonus room that could easily be used as a 5th bedroom. Wood floors in the foyer, powder room and kitchen opening into a spacious family room with a direct vent gas fireplace. The master suite has a luxury bath with large walk-in closet. Premier walk-out basement homesite backing to trees and with an in-ground sprinkler system. Located in the Ft. Zumwalt school district with great highway access to I-70 and I-64. Make your appointment today! Highway 70 West to Right on Lake St. Louis Blvd. then Left on Mexico Rd., Left on Fox Creek Drive.